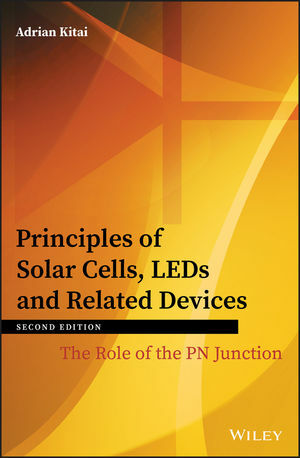 The revised and updated second edition of Principles of Solar Cells, LEDs and Related Devices offers an introduction to the physical concepts required for a comprehensive understanding of p-n junction devices, light emitting diodes and solar cells. The author – a noted expert in the field – presents information on the semiconductor and junction device fundamentals and extends it to the practical implementation of semiconductors in both photovoltaic and LED devices. In addition, the text offers information on the treatment of a range of important semiconductor materials and device structures including OLED devices and organic solar cells.